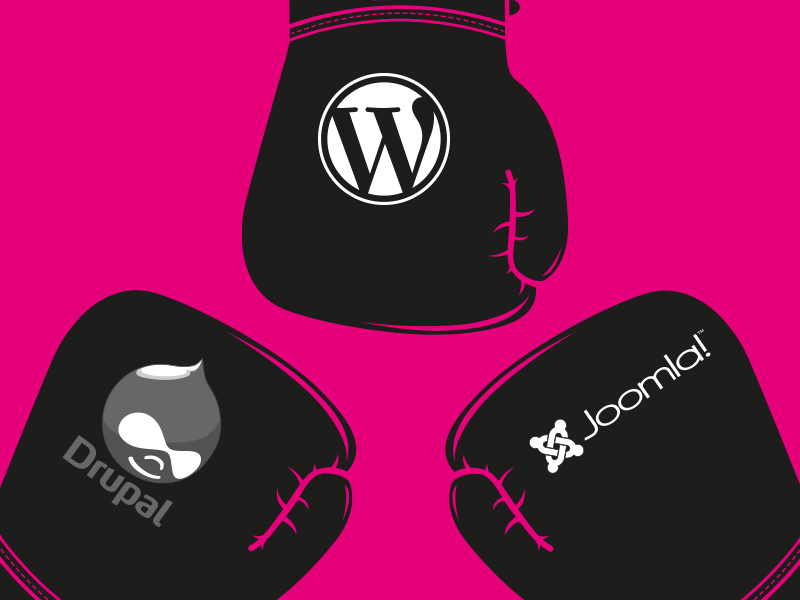 In comparing the latest versions of all three of the leading open source Content Management Systems (CMS) for a client recently I was struck by just how similar Drupal, Joomla and WordPress are in terms of delivering the end user experience. Each can definitely deliver high performing, beautiful websites to the end user. The differences are primarily of concern to the administration staff and developers of the websites. The following table shows just how similar they are. On a day to day basis the WordPress back end is easiest to install, use and upgrade. In my opinion it also has the most user-friendly editing interface. All three CMS’s can be configured for social media integration and all can have e-commerce built in. The out of the box version of drupal runs quickly, but speed has little to do with the CMS and is all about the template configuration. specifically. However a well configured instance of WordPress is no less secure than the others. If a website is to have tens of thousands of pages then there are some features of Drupal (and to a certain extent Joomla) that make this a better option to choose. The cost of build is highest for Drupal as it takes longest to configure. So, in the end (and somewhat annoyingly) it largely comes down to personal choice. All are good tools and whichever CMS you choose, the capacity exists within the system to fulfil your requirements in 99% of cases. The trick is to get a developer who knows how to use the tools to make them do what you need.